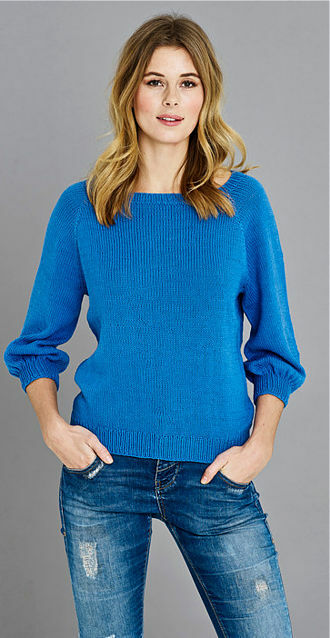 An all-year-round blend of Organic Cotton and Fine Merino Wool. This yarn is very soft, extremely durable, and it can be knitted on up 6 mm needles with no stretching after many washes and extreme wear. No pilling. We found nothing that can compromise the comfortability of your finished knits. Superb quality. Most of the manufactured colours of this premium yarn are melangés (two-colour twists) since cotton and wool take dyes differently. 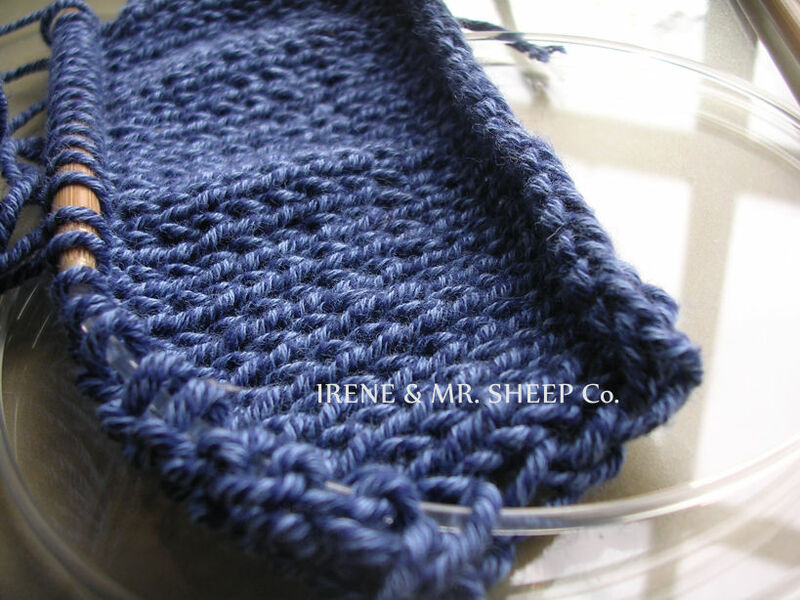 This natural blend is suitable for any kinds of knits for ladies, men, kids, and home decor. Garment Care: Only hand wash in lukewarm water. Dry flat away from direct sun. Iron cool. PULLOVER © ONION® Leaflet № 1613. TOP WITH PICOT BORDER © Leah Sutton, Book DENIM PEOPLE, yarn: Rowan Denim.